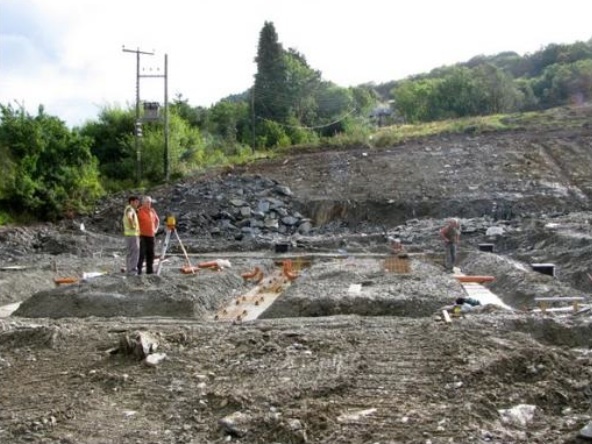 In an exciting project, Cymdeithas Tai Clwyd is pleased to announce that work will begin today (Wednesday 14th July) at Dolwyddelan near Betws y Coed, Conwy to build 4 timber framed affordable new homes. 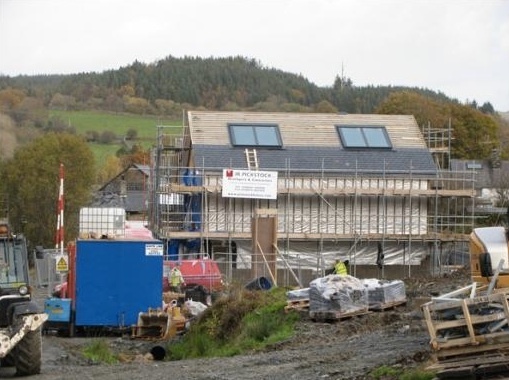 The name of this innovative project, ‘Ty Unnos’ (A House in a Night), is based on traditional Welsh folklore, whereby a person who successfully builds a house on common land in one night, then becomes the J R Pickstock Ltd, to build the 4 timber framed affordable homes at Dolwyddelan. 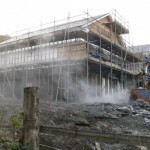 The timber framed building technology has been developed by Coed Cymru, Elements Europe Ltd and the Welsh School of Architecture. 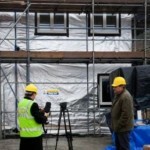 Elements Europe’s ‘Ty Unnos’ method was created in order to develop affordable sustainable housing as a building solution to meet current UK housing needs. 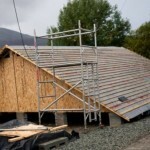 A patented box-beam and ladder system has been developed by the company using indigenous Welsh sitka spruce timber to provide a strong structural frame from this renewable material. 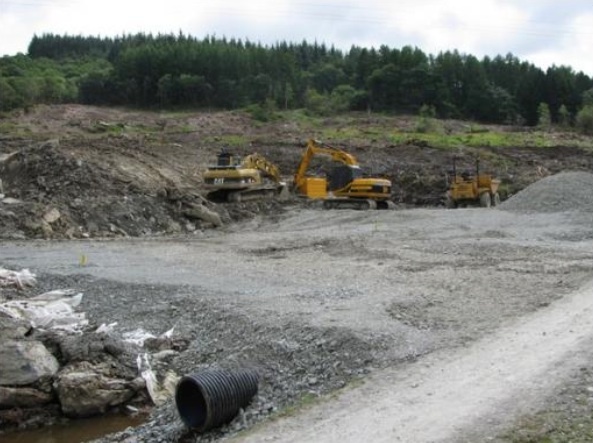 The components will be constructed off-site, ensuring less waste and stringent quality control measures, and bought to the site as ‘pods’. 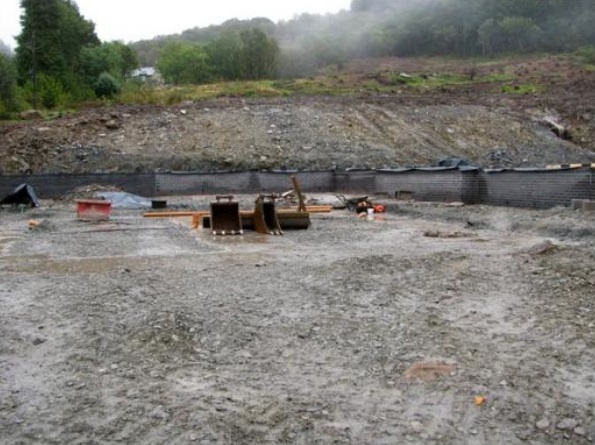 The first pod on site at Dolwyddelan will form the ground floor, with a second and third pod forming the first floor and roof elements. 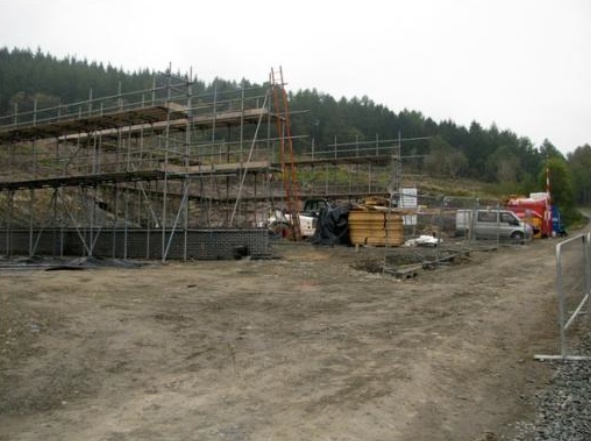 Forestry Commission Wales has released the land which it previously managed on behalf of the Welsh Assembly Government, in order that Cymdeithas Tai Clwyd can develop these affordable homes to meet local people’s needs. 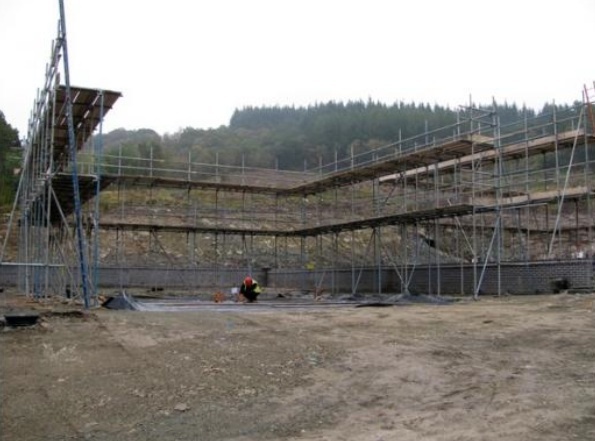 This is the second partnership project between Forestry Commission Wales and the Housing Association, the first completed at Dinas Mawddwy in October last year. 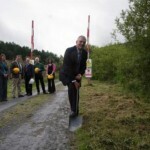 Today (Wednesday 14 July 2010) sees the first turf cut at the site as the £505,000 development, secured jointly from the Welsh Assembly Government’s Social Housing Grant and Cymdeithas Tai Clwyd, begins. 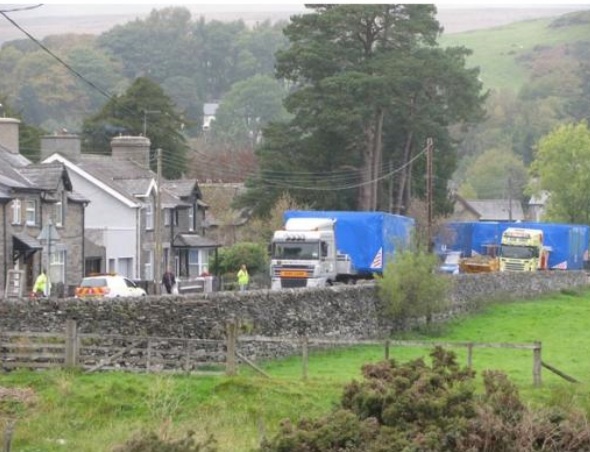 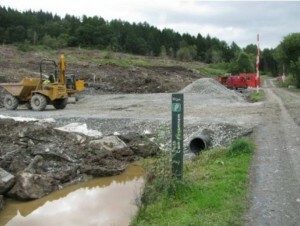 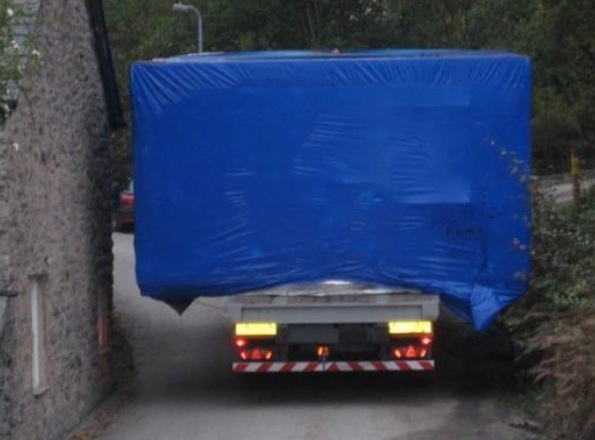 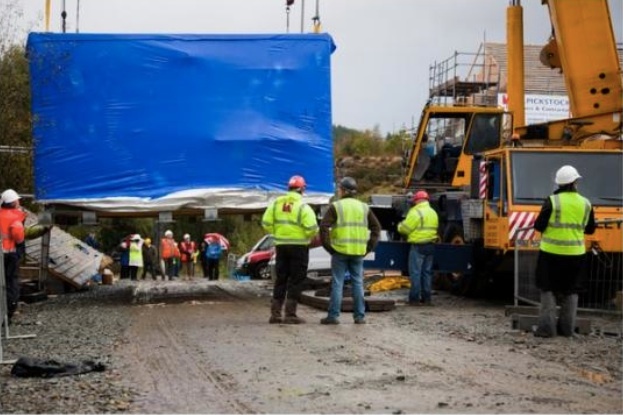 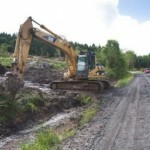 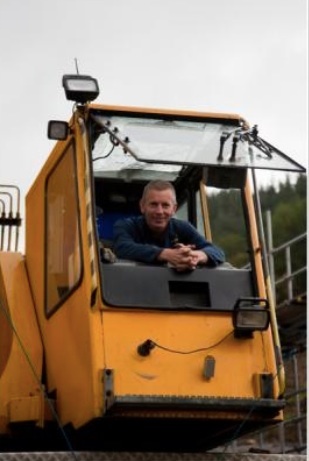 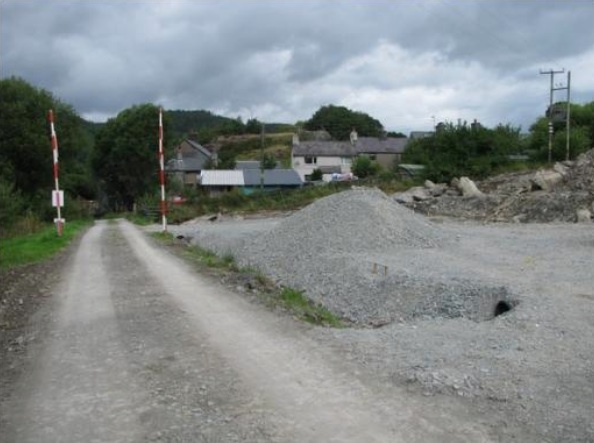 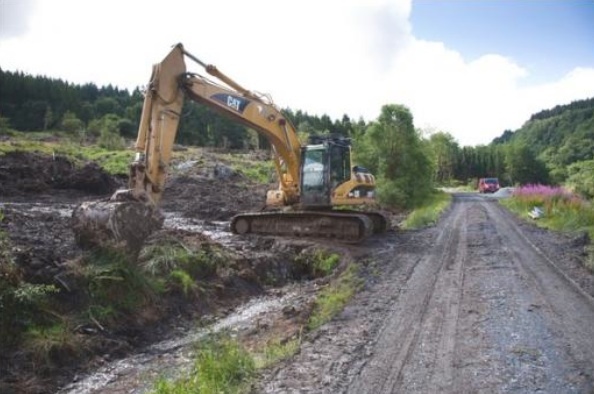 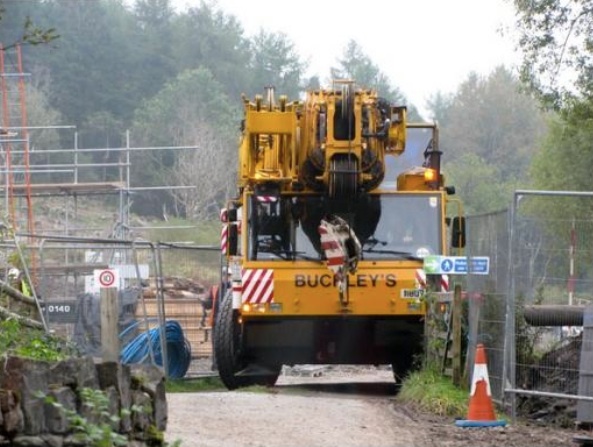 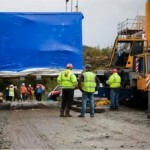 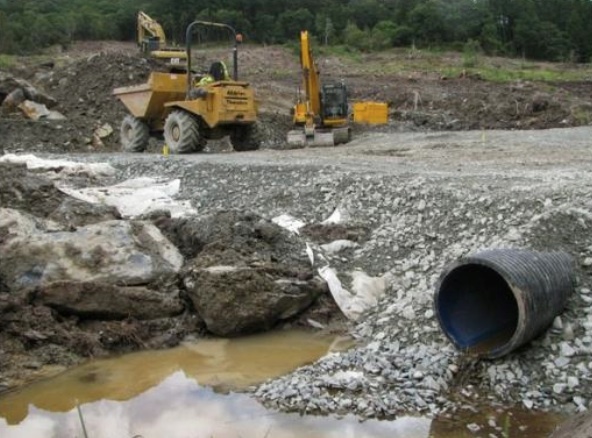 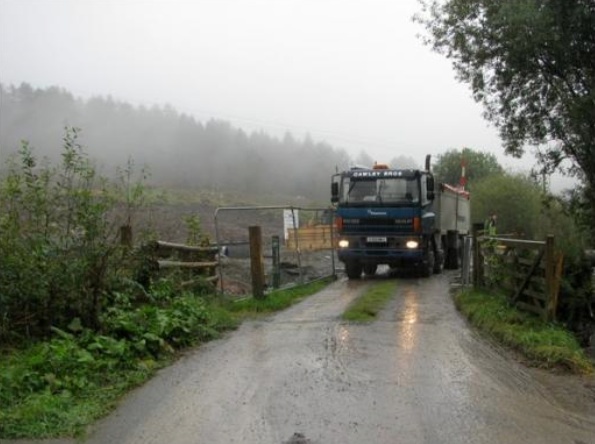 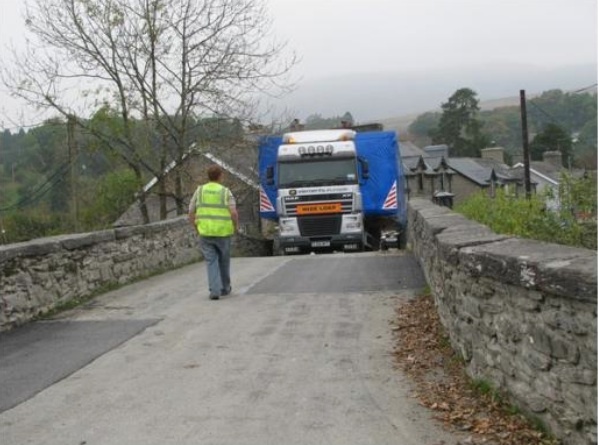 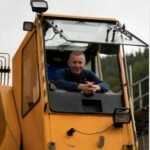 Dolwyddelan Community Council Clerk Gwyn Roberts, also a resident of the village said: ‘We are delighted to see this day arrive, and work actually beginning on site. 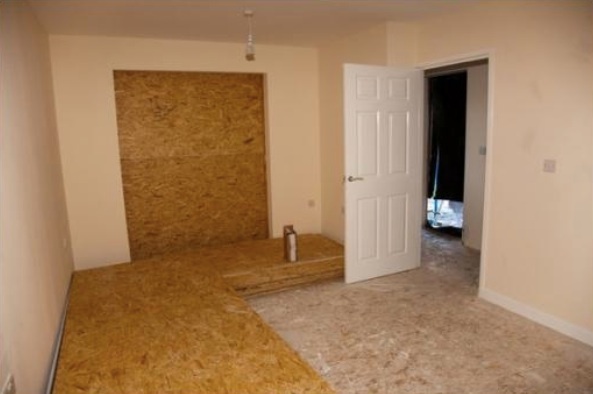 We began looking at affordable housing for the village back in June 2006, following some consultation work with the community. 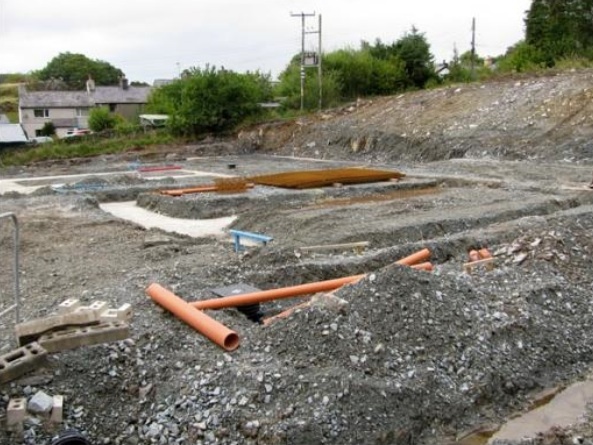 This is an exciting project for the local people and one that will bring an opportunity to young families and couples keen to stay in the area and set up home here. 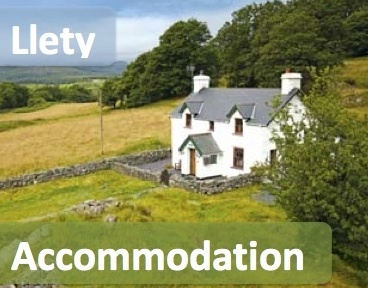 Rising house prices has made purchasing and renting homes during the last few years difficult especially in a tranquil rural village like Dolwyddelan, so this will be a great opportunity for local people keen to live in the area. 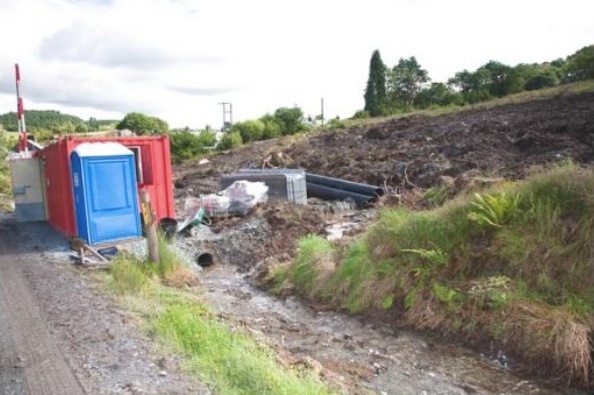 I would like to thank both the previous and current Rural Housing Enablers for all their support and assistance to start the ball rolling on this project. 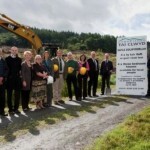 Also to Cymdeithas Tai Clwyd officials who have been with us all the way on this project. 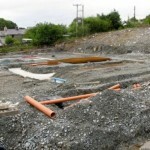 Cerian Evans, the Rural Housing Enabler is here with us today to see the development work begin’. 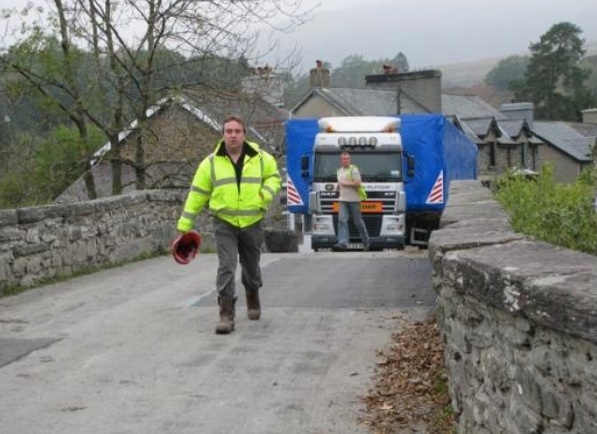 Aberconwy’s Assembly Member Gareth Jones says the local community deserves great praise for their leadership: ‘There is a diligent group at Dolwyddelan who work tirelessly to ensure the village thrives. 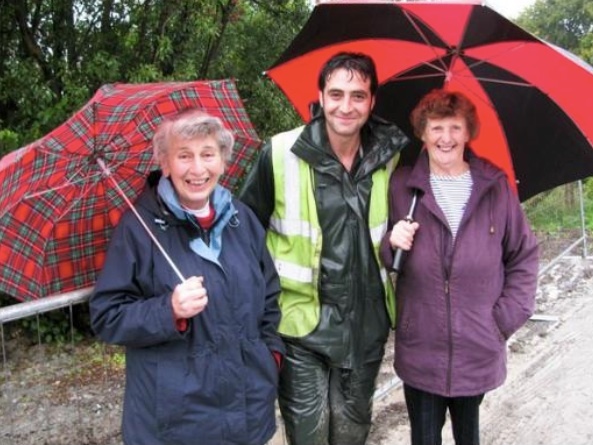 We must pay tribute to them. 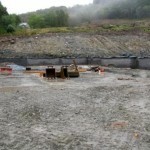 Seeing the work begin today is an indication of their commitment and dedication. 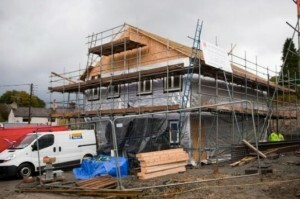 By building affordable homes within their community, they are offering youngsters the opportunity to establish themselves in their rural village, bringing with them a sense of confidence. 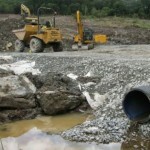 Investing sustainable resources in the community also promotes and strengthens the village’s future. 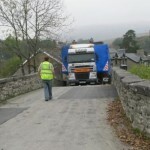 It is a success story due to the partnership work of all organisations involved ‘congratulations to everyone’. 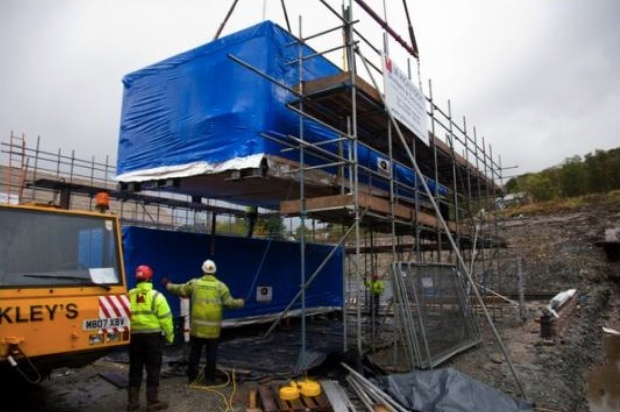 Indigenous Welsh timber framed pods will arrive at Dolwyddelan’s affordable homes site this week, as the innovative ‘Ty Unnos’ project takes shape. 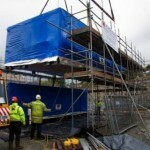 Two pods placed one on top of the other will form the ground and upper floor of Cymdeithas Tai Clwyd’s affordable homes. 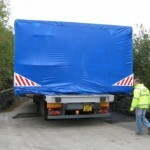 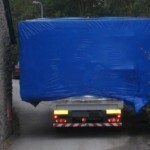 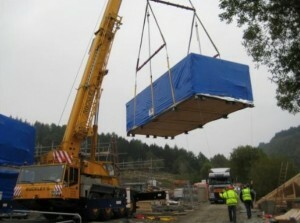 This environmentally friendly process saw the pods built at J R factory location at Oswestry. 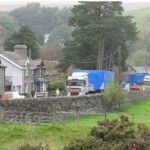 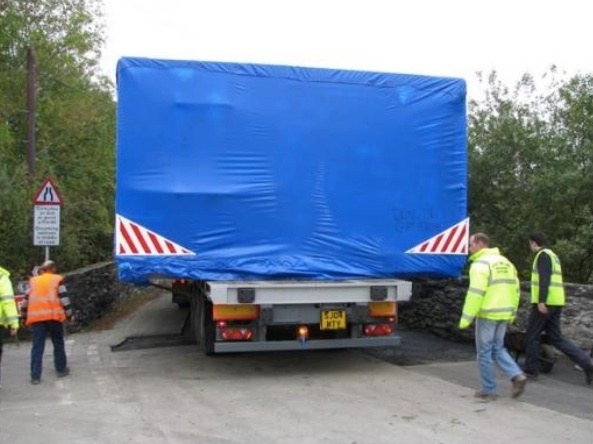 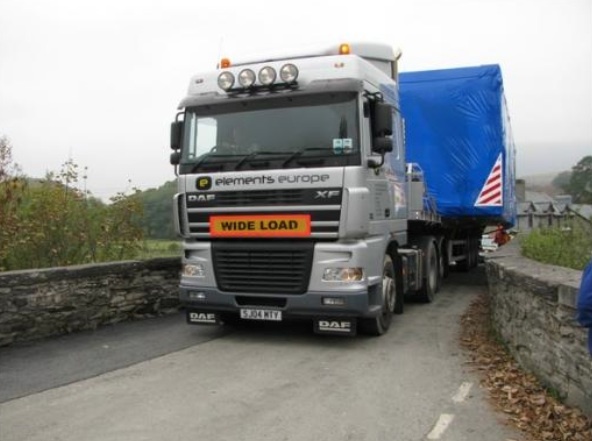 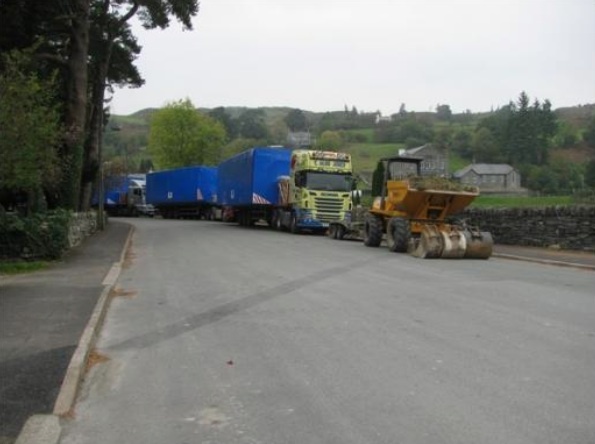 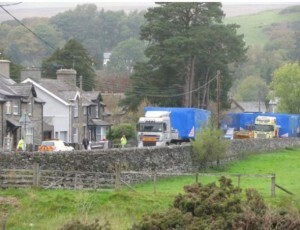 Travelling with a police convoy, two articulated lorries will travel with the pods, measuring 4.8m by 11.1m to the site. 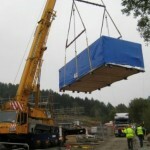 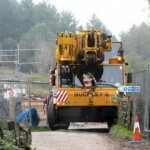 The pods will then be lifted into place by a large crane. 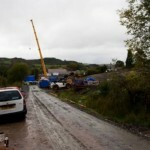 Cymdeithas Tai Clwyd’s Development Manager, Bryn Davies said: ‘This will be an exciting period in the process as we see a semi detached house formed on site within daylight hours. 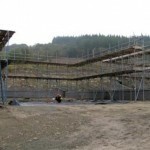 It is a far cry from conventional building work, with all the planning and construction work having taken place within the compound of a clean factory space. 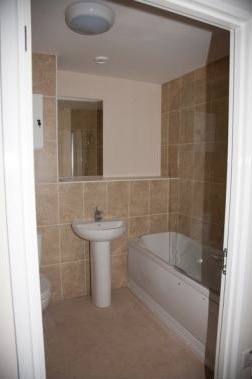 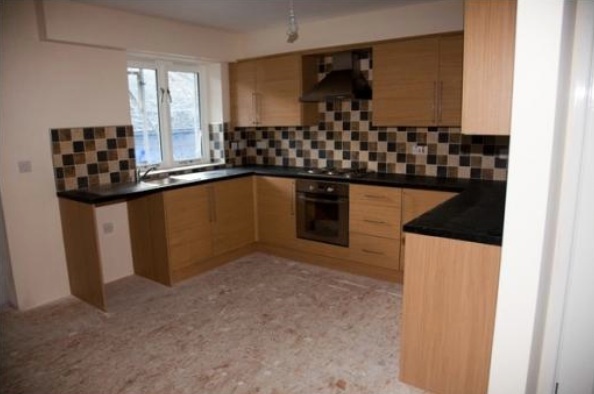 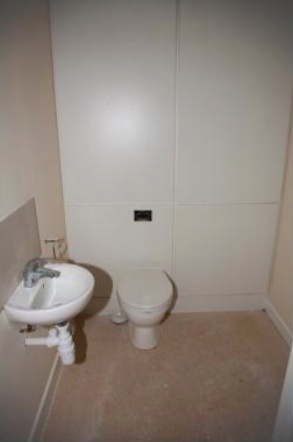 Kitchen units, bathroom suites, radiators, tiles, and even the plastering work have all been fitted and completed within the pods before leaving Oswestry. 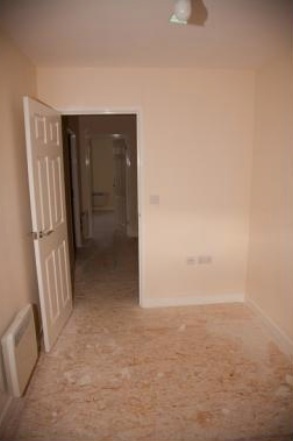 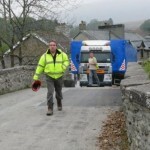 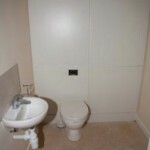 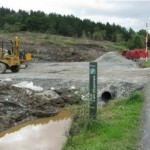 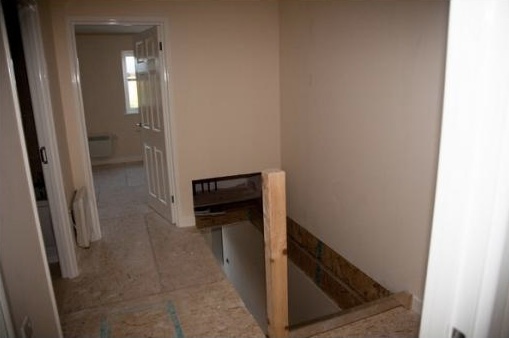 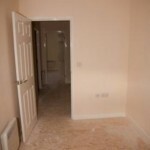 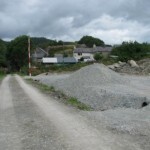 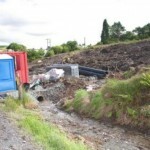 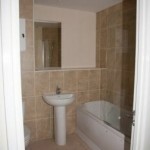 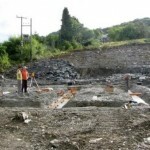 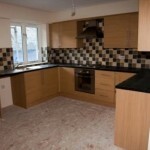 It is an affordable process, requiring many weeks less input on site at Dolwyddelan from varied tradesmen. 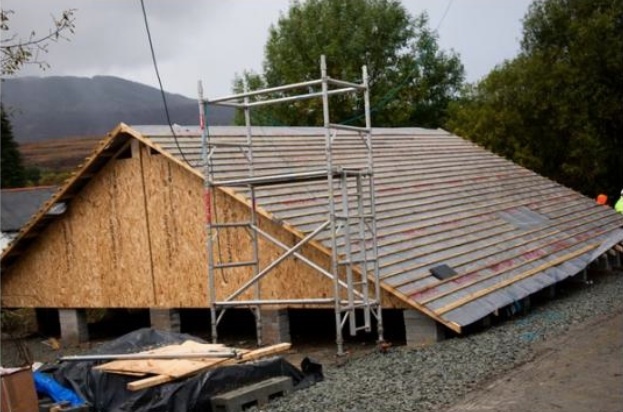 We are pleased to be part of this Ty Unnos innovative building method, especially as the sitka spruce timber (coniferous evergreen trees) used on the project has been grown, processed and developed here in Wales. 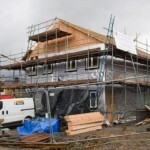 A total of four affordable timber framed houses will be built on site’. 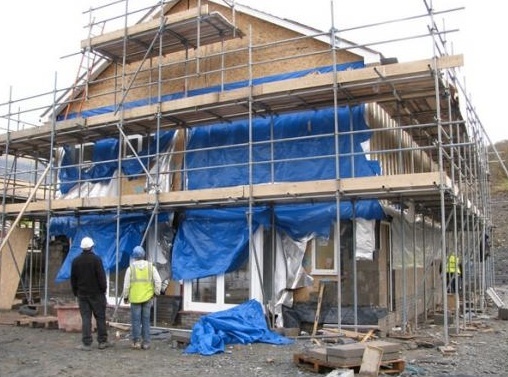 The timber framed building technology used in the Ty Unnos project has been developed by Coed Cymru, Elements Europe Ltd and the Welsh School of Architecture. 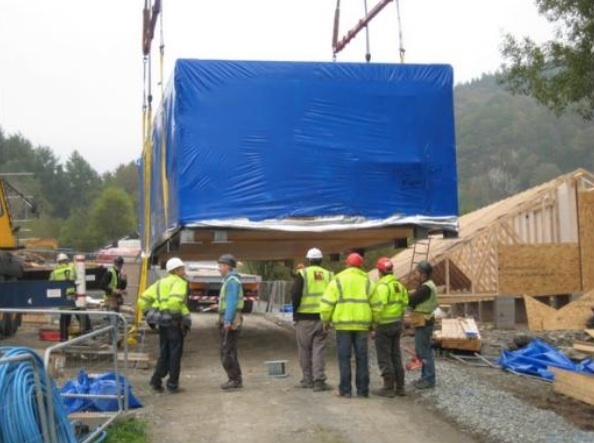 The Ty Unnos concept is a factory manufactured modular house and constructed from a Welsh Box and Ladder Beam timber solution. 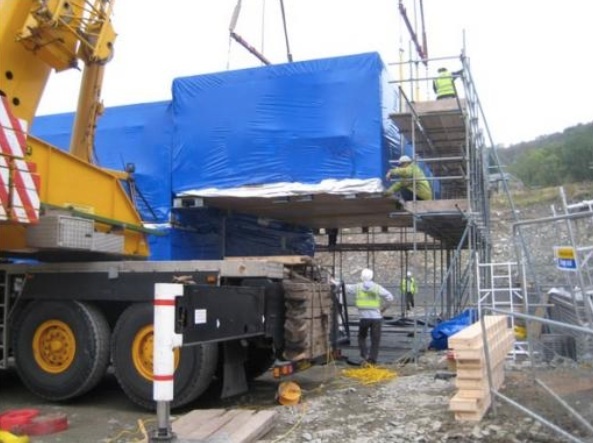 With the majority of timber used within the British construction industry imported, Ty Unnos Modular will maximise the use of a readily available, naturally sourced material, Sitka Spruce, promoting its commercial use and adding value to Welsh timber as an environmentally friendly product. 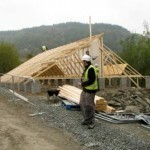 Ty Unnos (A House in a Night), is based on traditional Welsh folklore, whereby a person who successfully builds a house on common land in one night, then becomes the owner of that house. 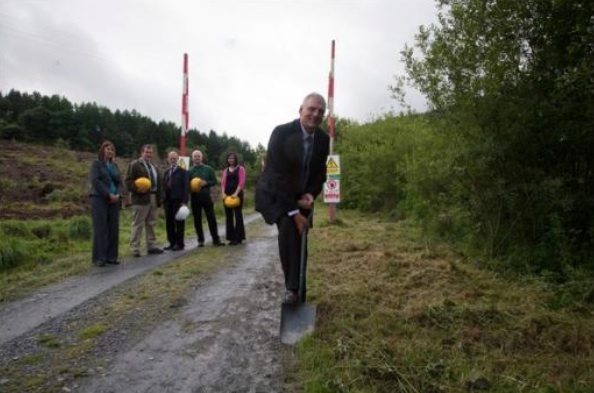 Alwyn Llwyd, Cymdeithas Tai Clwyd’s Chief Executive said: ‘This is a significant day for us and the local community at Dolwyddelan. 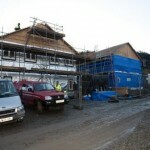 Building affordable homes for rural communities is one important aspect of our housing association work. 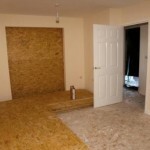 We do need to emphasise that without our partner agencies this project would not have seen light of day. 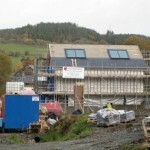 All seven organisations have worked meticulously with us to reach this crucial stage today: Dolwyddelan Community Council, Conwy and Denbighshire’s Rural Housing Enabler, Conwy Borough County Council, Forestry Commission Wales, Snowdonia National Park, Coed Cymru and of course the Welsh Assembly Government. 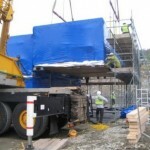 Main contractor on site, J R Pickstock Ltd has been instrumental in planning and implementing each stage of the process with each agency playing a key part in arriving at this exciting element today. 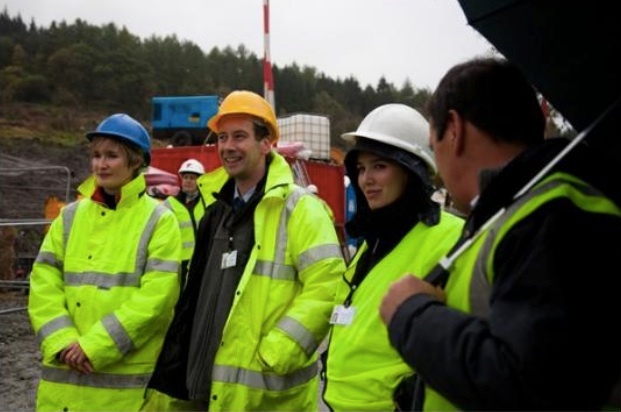 We are grateful to them for their support and co-operation’. 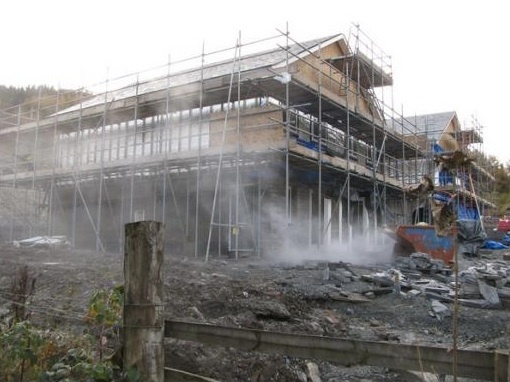 Cerian Evans, Conwy and Denbighshire’s Rural Housing Enabler explains how the housing need process began: ‘It was back in June 2006 when the work began to look at consultation work with the community to pinpoint the exact housing needs of the village residents. 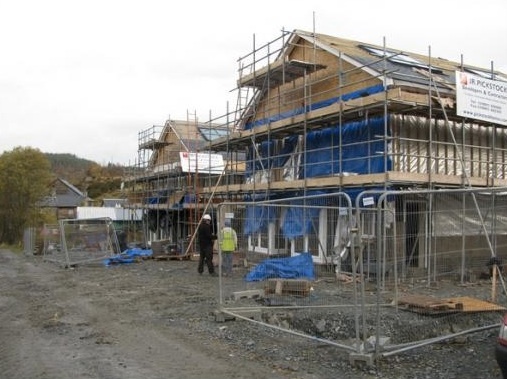 Dolwyddelan Community Council was instrumental in working with us, and we soon realised that with rising house prices making purchasing and renting homes difficult, there was a need locally for affordable homes for families and young couples. 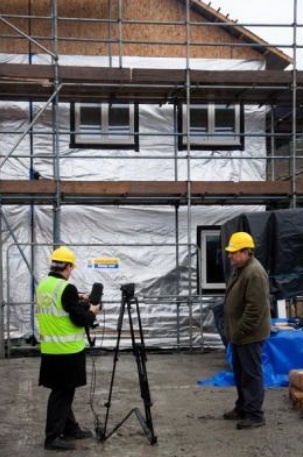 This will be a great opportunity for local people keen to stay in the area to live and work and it is encouraging to see the homes being built here on site today. 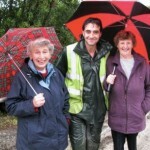 I feel very proud to have been part of this process with the local community council’. 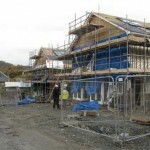 Gwyn Roberts, Dolwyddelan Community Council Clerk and Dolwyddelan Community and Conwy County Councillor Liz Roberts say that the Welsh Assembly Government needs to be congratulated on targeting local housing needs. 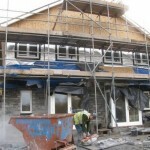 Gwyn Roberts explains: ‘It’s nearly 40 years since the last council built houses were developed at the village. Without this project there would be no hope for local residents to rent or buy here in Dolwyddelan. 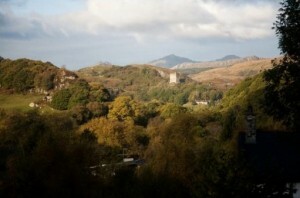 The village is a tranquil, idyllic place with stunning views and great outdoor leisure activities on our doorstep. 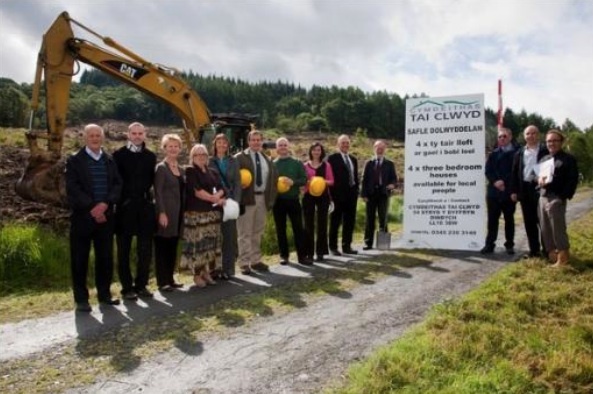 This type of village has seen house prices soar, so we need to congratulate the Welsh Assembly Government for appointing Rural Housing Enablers like Cerian Evans across Wales who are able to work with us and Conwy County Borough Concil in getting projects like this off the ground’. 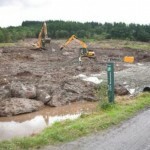 Forestry Commission Wales released the land which it previously managed on behalf of the Welsh Assembly Government, in order that Cymdeithas Tai Clwyd could develop these affordable homes to meet local people’s needs. 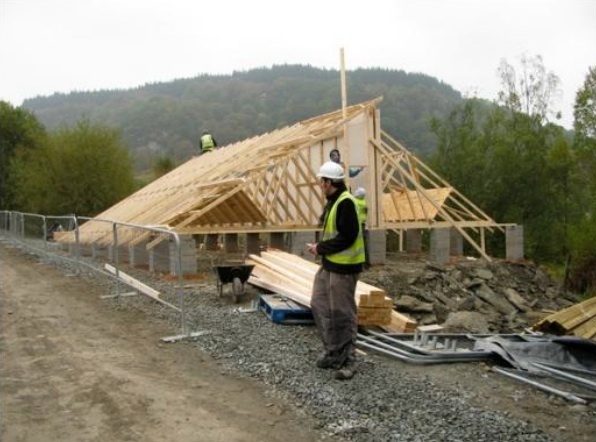 This is the second partnership project between Forestry Commission Wales and the Housing Association, the first completed at Dinas Mawddwy in October last year. 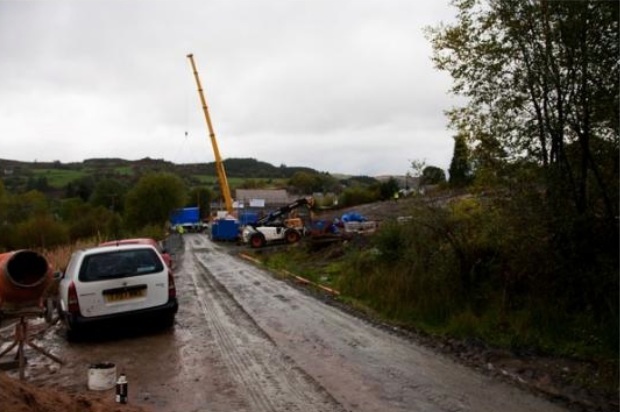 The cost of this development £505,000, was secured jointly from the Welsh Assembly Government’s Social Housing Grant and Cymdeithas Tai Clwyd. 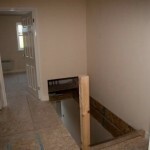 View from a bedroom ! 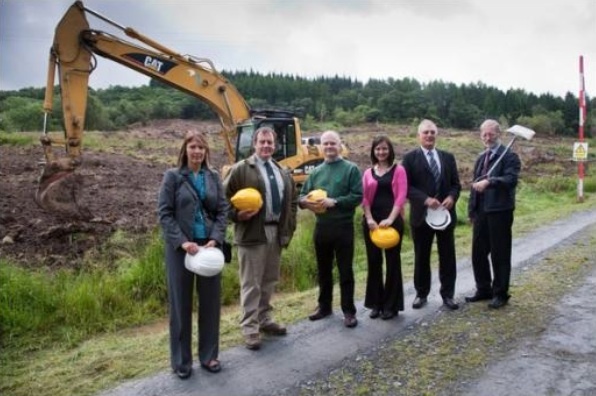 Commission Wales said: ‘We are delighted to see a second site of land previously managed by Forestry Commission Wales developed for affordable housing. The houses, set on a on a 1.5 acre of open land within Snowdonia National Park will be built to a high standard in a sustainable manner making the householders living experience much greener. 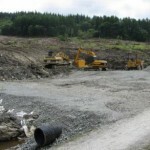 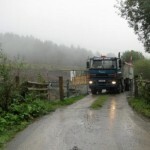 In this part of the world, using the natural environment to assist with reducing carbon footprint is an ideal solution. 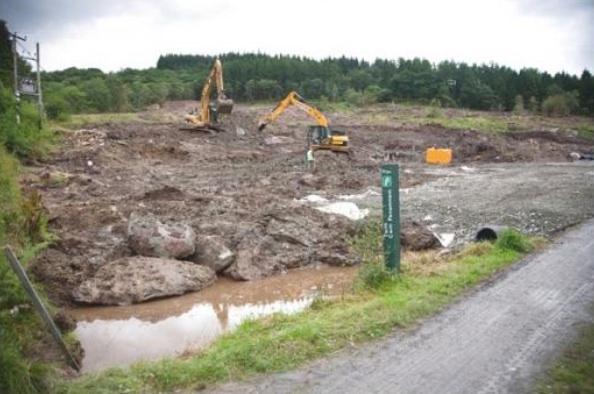 The transformation of the land is clear to see, and we are delighted to be part of the process working on behalf of the Welsh Assembly Government’. 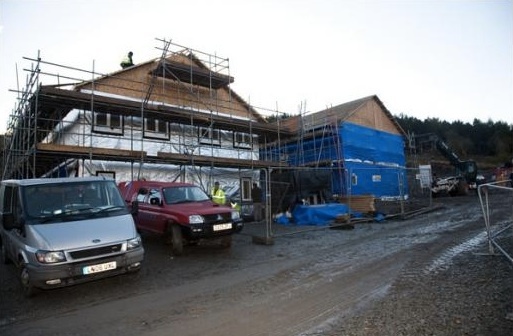 This year, three other rural housing projects are being developed by Cymdeithas Tai Clwyd in partnership with other agencies, including a development at Pentredwr, Llangollen; Cynwyd near Corwen and Llangadfan near Welshpool. 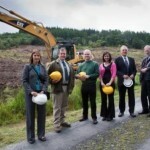 The total investment of the four rural projects will be £1,825,000*. Cymdeithas Tai Clwyd, will develop 63 housing units across north Wales this year – a record housing development programme for the organisation, set within a £16 million* budget. 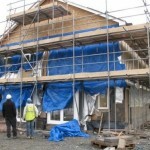 It is the housing association’s largest annual development programme in its 30 year history. 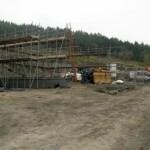 These 63 housing units will be built across north Wales in 2010 – 2011 which includes two extra care housing developments for the elderly at Y Bala and Ruthin. 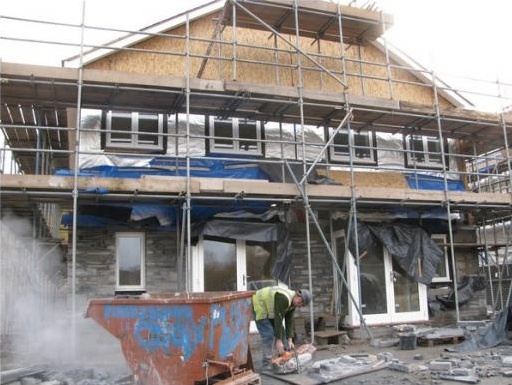 *£9.5 million of the funding has been secured from the Welsh Assembly Government’s Social Housing Grant, with the rest £6.5 million being secured by Cymdeithas Tai Clwyd through private finance.